Volvo officially introduced a 508 horsepower S60 Concept built by Polestar Performance at the Gothenburg City Race in Sweden yesterday. The turbo sports sedan features a six speed manual and is capable of a 3.9 second run from 0-62 mph. Polestar Performance started with the production turbocharged straight six (T6) usually found in the S60. They modified the heads, combustion chambers, inlet manifold and intake and added strengthened connecting rods to handle the additional power produced by a Garret 3171 turbo. The resulting power output from the 3.0 liter engine is 508 horsepower and 424 pound-feet of torque. Modifications didn't stop under the hood though, Polestar also tweaked a Haldex AWD system for the application and added a reinforced standard 6 speed gear box. The chassis of the car was widened — 20 mm up front and 40 mm at the rear — while the entire car was lowered 30mm. To complete the package Polestar added Öhlins suspension components, a Ferrita 3.5 inch stainless steel exhaust, 19-inch light alloy wheels and a set of six piston Brembo brakes. The result is a Volvo performance sedan that tips the scales just over 3600 pounds with numbers that sound like serious competition for the Mercedes C63 AMG and BMW M3—508 horsepower, 3.9 second 0-62, 180+ MPH top speed. All of this seems like great news until you get to the fine print of this car. Even though Polestar and Volvo presented this modified S60 together, it's actually just a car built for a specific client. Volvo claims the car could eventually be built if there is adequate demand for it but aren't making any commitments currently. 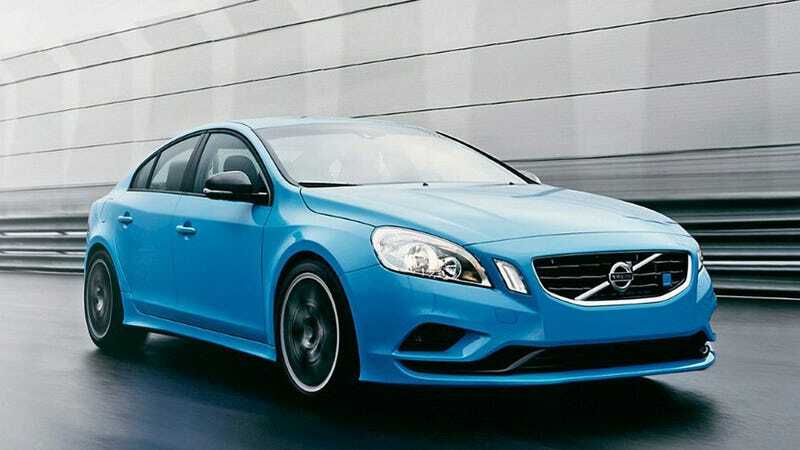 Some will remember the equally awesome 415 horsepower Volvo C30 Polestar Concept from a few years ago. It was well received by everyone from Top Gear to Jay Leno, but that was as far as it got. Even if the company has been hinting at expanding into a performance division for years, we fear a similar fate for this S60 once it has made the rounds. We'd say it's now up to Volvo to prove their commitment to performance and actually build this awesome S60. Never have we wanted to be wrong about whether a car actually sees production more—well, almost never. Hat tip to Tentacle, Dutchman, drives French!